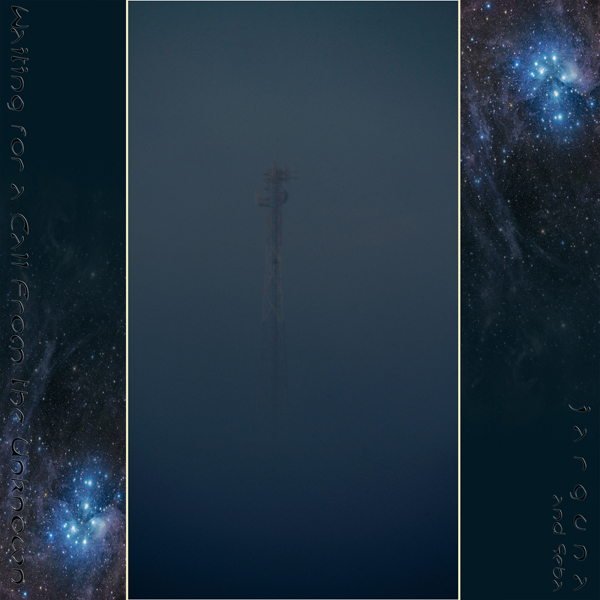 This double-CD equivalent from Jarguna is fresh from the Earth Mantra netlabel. With seven previous releases listed in the Italian artist’s discography, this is his debut release for EM. “Waiting for a Call From the Unknown Part 1″ is the longest cut on the album, running at just over 36 minutes. Long slow drones set the pace for the first four and a half minutes, before being joined by a single note repeating pensively over the drones as they begin to circulate restlessly. Dark synths begin to weave in and out, and mysterious burbles float around the soundspace. There’s a sense of slow, tentative movement as a quiet rhythm starts around the nine minute mark. Twenty-two minutes or so in, it seems as if contact might be made, but there’s no certainty. The second track, “Dark Side of Calliope” is the shortest of four, but still weighs in at nearly sixteen minutes. It’s discordant, and dark as the title suggests. Great swells of synth washes veer off to left and right; there’s little in the way of comfort here. Long metallic drones clash with one another in a struggle of titanic proportions. Around half way though, chords begin to form, and the mood lightens, though only a little, as the sound changes from conflict to a feeling of wonder. As we float towards the end, it really feels as if we’re suspended in the vast coldness of space. “Commutator” starts out on something of a lighter note. There are some major chords here, overlaid with percussive metallic sounds and long bass rumbles. But there’s something very otherworldly about the music; something not human. It’s almost as if we’re inside a giant machine, witnessing activity taking place that’s too difficult to comprehend. A rhythm begins around a third of the way in, and starts to shape the music into something we might be able to understand. The beat grows thicker and denser, propelling the track forward with malevolent intent. Snatches of alien speech appear, vying for our attention against a scattershot, almost Berlin School synth sequence. The closer, “Waiting for a Call From the Unknown Part 2″, is the second longest track on the album, at just shy of 32 minutes. An eerie drone throbs underneath a minor chord and they begin to fold and unfold, like a double helix. Around the sixth minute, the drone and chord fall away leaving us with breaths and organic noises. The buzzing of unfamiliar machinery pans rapidly left and right, disorienting the listener before suspending us in darkness. Seventeen minutes in, and it feels as if the awaited connection has finally been made. Communication takes place; there’s an exchange of knowledge and information as two species, light years apart, share their experiences. The album closes with a bright, positive view towards the future. Jarguna explains in the notes that the album is “a distillation of my musings when I focus my thought on empty spaces, the Universe, and its mysteries”. For me, it strikes a fabulous balance between space music and ambient, though leaning heavily towards the former.